AMD has recently released register specifications for the ATI Radeon R5xx and R6xx graphic devices. Engineers from Novell have now released a first alpha quality Open Source driver which currently supports initial mode settings. Next steps are adding support for more hardware, RandR 1.2 support, video overlay support and 2D acceleration. A mailing list has been created at radeonhd@opensuse.org (subscribe). The developers are also discussing the development on the IRC channel: #radeonhd on irc.freenode.net. Bugs can be filed at http:/bugs.freedesktop.org under the X.Org product, component radeonhd. Thanks to Egbert Eich, Luc Verhaegen and Matthias Hopf for their great work! I’m looking forward to seeing the driver in the openSUSE 11.0 release next year. « JPackage in openSUSE – Get Involved! Now when should the (k)ubuntu people start expecting these drivers? This is an Open Source Driver – anybody can use it today. It’s just Alpha quality. I don’t know when it will be stable enough and which distribution will be the first one to use it. I hope that the (k)ubuntu people will get involved to speed the delivery up. One of the Debian X maintainers has recently announced that the driver has been uploaded to the experimental section of the Debian archive. You might also be able to use these packages on an Ubuntu system.. It looks like one of Ohloh’s users already submitted this work for analysis. If you’d like to see a high-level overview of the source code for this driver, you can checkout the Ohloh report. Tidbits: 4 different people contributed to the work, from the surface it looks like 2 were the principal contributors. I can only say, wooooot! I’m very happy about this. I took a calculated risk based on AMD’s previous statement that they’d open up ATI’s graphics card’s specs, and bought a Radeon X1650 Pro. This is making me happy about that choice. I have MSI K9VGM-V, Athlon64 X2 4000+ EE (AM2), Sapphire Radeon X1650 Pro 256MB GDDR3 PC-e (32bit bus). Driver radeonhd is not work (or I don’t know how to setup it) – I try everything. GPU fan is very load – constantly works. Very good news. I hope video acceleration will be forthcoming, as this will open the doors for low cost Hi-def Linux HTPC’s. As soon as this driver works I will sell all nvidia cards and replace them with ati cards. Their fault that they do not release the specs. And we have a lot of computers at work that all use nvidia right now. That may be the case with the drivers in the past years but atis chaps have gotten a lot more right the recnent releases, especially the cp. But since the nvidian driver is not an open sauce driver, its an restricted component under a different license. To bundle drivers out of the box with a distribution it is a lot easier to make open sauced drivers and they could also easier be changed of something doesn’t work. I hope the open sauce driver will make fast progress and i guess it could be pretty fast in a lot of things ’cause writers of accelerated software could look into the driver or write a fix for the driver to run their software faster or get the compatibility thing. Thats a lot more difficult with closed sauce drivers. But since nvidia has the nose still a big leap forward, the ATI boffins should better hurry and get the R630 out or get some people to work for its linux drivers. Generally the r6xx series seems to be crappy compared to the G8x but in the 3D-cad professional sector things seem to be a lot more interesting. AMD cards give a lot more juice here in the former nvidia dominated area. Since professionald 3D is mostly OpenGL, i hope this translates into good linux performance sometime. Having open-sourced drivers built from the ground-up using the official hardware specs will be an incredible step forward for UNIX. nVidia won’t stand a chance in the *NIX market unless they open their specs as well. I’m already making plans to sell my 7900 off and get an AMD. I realize the drivers are going to take time, and I believe AMD has only revealed the basics of the overall specs, but if they keep to their word, I’m sure the rest will come soon enough. Thanks Novell for working hard on this! Great, letz hope they will be ready for next openSUSE! Are the drivers for the radeonHD still avaliable? I receive a 404-Object not Found error when I try to access the links above. OK… I found them. The site must have been down for maintenance. SaX2 shows VESA framebuffer as graphics card and ATI as monitor, which is wrong. xorg.conf shows correct make and model of monitor but shows device VESA Framebuffer and ATI HD 2400xt, but it misses all kinds of options that are in the multitude of installation help. I run fglrxinfo and fgl_* SD test and it shows everything it should show and SD works. When I start SaX2 it says that 3D acceleration is disabled because of the graphics adapter. When I look at GLXINFO it shows SGI as adapter at the second time where it is documented as ATI. I hope this is confusing enough. Any explanation or help is highly appreciated. I have a similar problem. Both flgrxinfo and glxinfo correctly indicate my ATI Mobility Radeon X1400 but Sax 2 indicates VESA Framebuffer graphics as graphics card and some Samsung Sec 1024 (which is possibly my laptop monitor). I’ve tried all the howtos I could find in vain. [I’m a total newbie on Suse (and Linux btw)]. Somebody has any idea of what might be wrong? Thanks by advance. 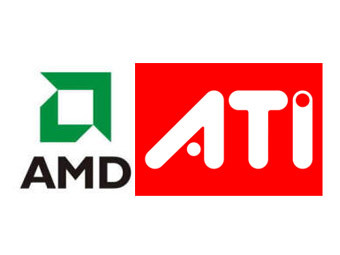 Sorry, but I feel that AMD/ATI not interested to support linux community. I already has purchase the HD2600XT card a half year ago and can not find the working driver for OpenSUSE with 2D/3D acceleration. In results I must use Vista where this card are working without any hungup and imperfections.